Foot washing, or the Washing of the Feet, is a religious ceremony performed by many Christians on the Thursday before Easter. 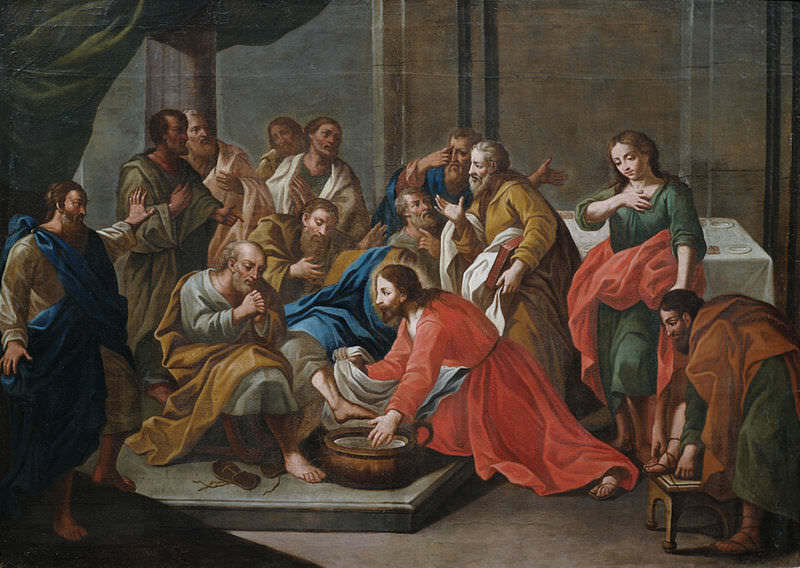 The ceremony, also known as Maundy, commemorates Jesus’s washing of the feet of the 12 disciples at the Last Supper. As recounted in the Gospel of John (13:1-15), Jesus instructed his disciples to follow his example and wash one another’s feet. The act is considered a sign of humility, among other things. During the medieval period, European monarchs participated in Maundy services. To show their humility before God, they washed the feet of a select group of paupers. They also distributed alms as an act of charity. By the 18th century, most kings and queens had stopped personally washing the feet of the poor. However, the Habsburg rulers of Austria kept up the practice until the collapse of their monarchy at the end of World War I. On March 23, 1837, English writer Frances Milton Trollope attended the Maundy Thursday Fusswaschung (foot washing) performed by the Emperor and Empress of Austria at the Hofburg Palace in Vienna. The Emperor was Ferdinand I, the son of Francis I of Austria. He was the brother of Napoleon’s second wife Marie Louise and the uncle of Napoleon’s son, the Duke of Reichstadt, who died in 1832. Somewhat mentally and physically deficient as a result of his parents being double first cousins, Ferdinand was a kind and devoutly religious man. 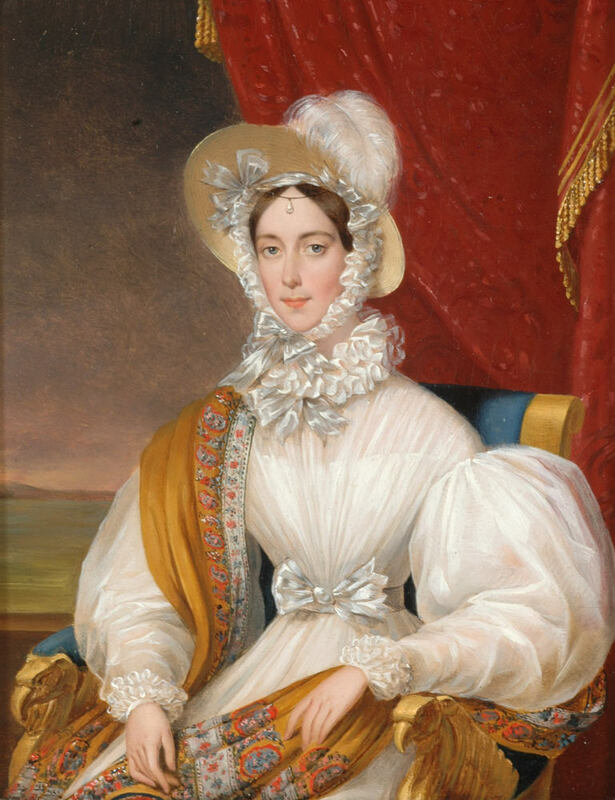 His wife, the Empress, was Maria Anna of Savoy, the daughter of King Victor Emmanuel I of Sardinia and Archduchess Maria Teresa of Austria-Este. Maria Anna was charming, good-hearted, and as devout as her husband. At the time of the foot washing witnessed by Mrs. Trollope, Ferdinand was 43 years old and Maria Anna was 33. They had been married for six years. 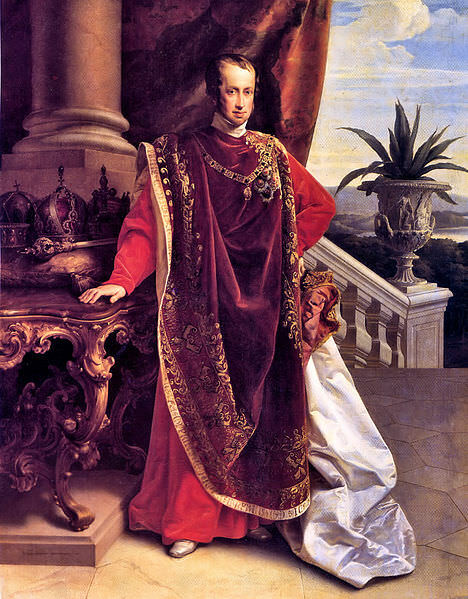 Ferdinand had been Emperor for two years. Another participant in the ceremony was Archduchess Sophia (Princess Sophie of Bavaria), the then 32-year-old wife of Ferdinand’s brother, Archduke Franz Karl of Austria. What follows is Frances Trollope’s account of the imperial foot washing. She gives us a touching glimpse of Empress Maria Anna, Archduchess Sophia and some elderly residents of Vienna. A long narrow table was spread down each side of the room, raised on an estrade covered with carpet; on the inner side of each table were twelve arm-chairs, and about an hour after the spectators who lined the walls had taken their places, twelve old men and as many old women were led in, each by two supporters, and placed in them. They were neatly and warmly clothed for the occasion, but the form of their garments looked as if they were coeval with the institution. After they had been some time seated, the usual three announcing taps were heard upon the floor, the throng of officers and high officials of the court fell back, and the Emperor and all the archdukes at present in Vienna, all in military uniforms, walked up the room. Immediately afterwards, the Empress, Archduchess Sophia, and a dozen attendants followed. They mounted the estrades on which the tables were placed; the Emperor and his suite on the side allotted to the men, and the Empress, archduchess, and their ladies, on the other. The graceful Empress placed herself opposite a tidy little old woman, whose superiority of age (she only wanted one year of a hundred) gave her the first place, the archduchess stood next, and they had both a grande-maîtresse behind them; while ten noble ladies in attendance stationed themselves each one opposite an old woman, all of whom were placed in order, from the venerable ninety-nine, down to the cadette aged eighty-four. On the other side of the room the Emperor, the archdukes, and gentlemen in waiting did the same. As soon as the court had thus placed themselves, and each old pensioner received a kind word or two, which in more than one instance called up a blush of pleasure and agitation on the faded furrowed cheek of age, a double file of servants in state liveries marched up the room, each bearing a tray laden with what appeared to be very dainty viands, but of which meat of course made no part. The top of the female table was immediately before the place we occupied, and the Empress being stationed at that end of it, our attention was naturally fixed upon her, and certainly no one ever went through a ceremony with greater perfection of demeanour in every way. The first part of the humble Christian office she had lent herself to perform consisted in placing with her own hands the various dishes provided for the venerable senior upon whom she waited; and this was done with a quiet, gentle sweetness that made us almost forget the Empress in admiration for the woman. Her august sister-in-law, and each fair dame in order, followed the edifying example, and the table was speedily covered. Nothing, however, was eaten by the guests but soup; it having been ascertained for some years past that sending home untouched the portion served to each, for their private enjoyment and that of their friends, gave them more pleasure than eating a nervous meal in the imperial presence, and having the remnants sent after them. Three entrées, and a dessert, comprehending I imagine as much food as would serve a family for a week’s feasting, were successively placed on the table, and removed by royal and noble hands with all the zeal and activity of careful attendants. I suppose one of the old women looked wistfully at the parting dishes as if she were hungry; for the Archduchess Sophia bent across the table, spoke a few words to her, and then proceeded to cut off a slice of bread from a loaf that flanked her plate, and gave it to her. It was eaten with much apparent appetite, aided perhaps by the draught of what I presume was wine, which the poor soul drank with evident and hearty good will from a goblet that stood before her. This draught was, I think, taken by all, and was in every way well timed, as it served to drink to the health of their imperial hosts, to recruit strength and spirits that must undoubtedly have been somewhat tried by the whole scene, and to have fortified them against the effects of the severe cold without. The dinner having been thus placed and removed, the tables were withdrawn with great celerity, and the most remarkable part of the ceremony began. Pages approached with gold basin, ewer, and napkins; the beautiful Empress drew off her gloves, and tied a white linen apron round her waist, while every lady on the estrade knelt down before the poor old woman opposite to her, and pulled off her shoe and stocking. When this was completed, they drew back, and a long line of white linen cloth was placed by some of the attendants over the row of naked feet to prevent their being unnecessarily exposed. Meanwhile a priest placed himself at a desk prepared for him…. The gospel, from whence the necessity of performing this act of humiliation is drawn by Roman Catholics, was read; and it was then that one might perceive how truly the Empress of Austria submitted herself to the performance of this lowly office from genuine religious feeling. She had hitherto performed the part she had taken upon her with an air of smiling kindness, but her countenance, which is one of great feeling, is rather grave than joyous, and even her smile expresses more of goodness than of gaiety; but, while she placed the dainty dishes that were to be their portion before the poor people seated at the board, her look and manner spoke, without the slightest shade of affectation, a well-pleased gracious hospitality that had no mixture of penance in it. But no sooner did the priest begin to pronounce the words of the gospel than her soul seemed to retire into itself, her lips moved in prayer, and though neither her hands nor eyes were raised to heaven, nor gesticulations of any kind used to produce the external appearance of devotion, there was something in her whole person that might have helped a painter at need who wished to represent, not the martyrdom, but the holy self-devotion of a saint. 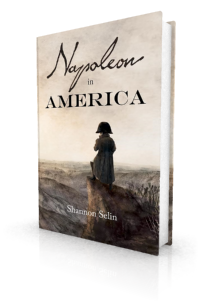 When the preparations were completed, she drew near the first woman in the line, and, kneeling down, dipped the corner of a napkin in water, and touched the foot, which having wiped, she bent low her fair imperial head, and kissed it. The performance of such an office as this must affect the spectators entirely according to the manner in which it is executed. Protestant princes do not believe themselves called upon by the gospel to perform this act of humility, and Protestant subjects are content to give them credit for a due proportion of the great Christian virtue which it exemplifies, without their making any public display of it; but, however well we may all of us be satisfied by our own arrangements, I think it impossible that any real Christian, let the form of his Christianity be as simple and undemonstrative as it may, to see this gracious creature drag herself along upon her knees in the performance of this painful ceremony, without feeling that she had humbled her heart before God. On rising from her knees she was very pale, and I saw tears in her fine dark eyes; but she presently resumed her usual tranquil air, laid aside her apron, drew on her gloves, and concluded the business of the morning by throwing over the neck of each poor old soul a ribbon, from which depended a little purse containing forty pieces of silver, adding, what really from the manner of its reception seemed more precious still, the favour of her extended hand to kiss. Even this, however, was not enough to satisfy the feeling she inspired, for, after she had passed by, I saw one of the old women stretch out a palsied hand to seize her dress, which she pressed fervently to her lips, and I almost envied the good soul her opportunity, for I should have well liked to kiss the hem of her garment myself. ‘Au moins la pièce est fort belle,’ [‘At least the play is very beautiful,’] was the answer. The kind-hearted Emperor appeared to perform his part of the ceremony in serving the table, with great activity and good nature; but we were too far from his estrade to see very well what was done upon it. After the Revolutions of 1848, Emperor Ferdinand abdicated in favour of his nephew, Franz Joseph, the son of Franz Karl and Sophie. Ferdinand and Maria Anna retired to Prague Castle, where they devoted much time to religious pursuits. Ferdinand died on June 29, 1875 at the age of 82. Maria Anna died on May 4, 1884, age 80. They had no children. Frances Trollope, Vienna and the Austrians, Vol. II (London, 1838), pp. 325-331. I guess those who crushed the revolution of 1848 and fastened chains back on the people were not the foot-washers. The whole things is strange and pitiful and grotesque. There is that aspect to it. I know my comment isn’t central to your post but I always loved Anthony Trollope and had no idea his mother was so famous in her own right. 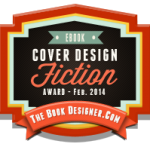 Thank goodness for blogging. Yes, Anthony really followed in his mother’s footsteps. You’d probably enjoy her books, Hels. You can find them for free on the Internet Archive. I saw one of the old women stretch out a palsied hand to seize [the Empress’s] dress, which she pressed fervently to her lips, and I almost envied the good soul her opportunity, for I should have well liked to kiss the hem of her garment myself.